SYNOPSIS: Mia Thermopolis has just found out that she is the heir apparent to the throne of Genovia. With her friends Lilly and Michael Moscovitz in tow, she tries to navigate through the rest of her 15th year. My goodness, I have’t seen this movie in years, and it recently ended up on my radar again when Natasha watched and reviewed these. I should say that while I saw these, I never read the books, and don’t really plan to. I watched this movie so many times as a kid, it was ridiculous, and I really liked it. Don’t even judge me monkeys. I was wondering how it would hold up on rewatch all these years later, and I must say that I was quite impressed for a multitude of reasons. 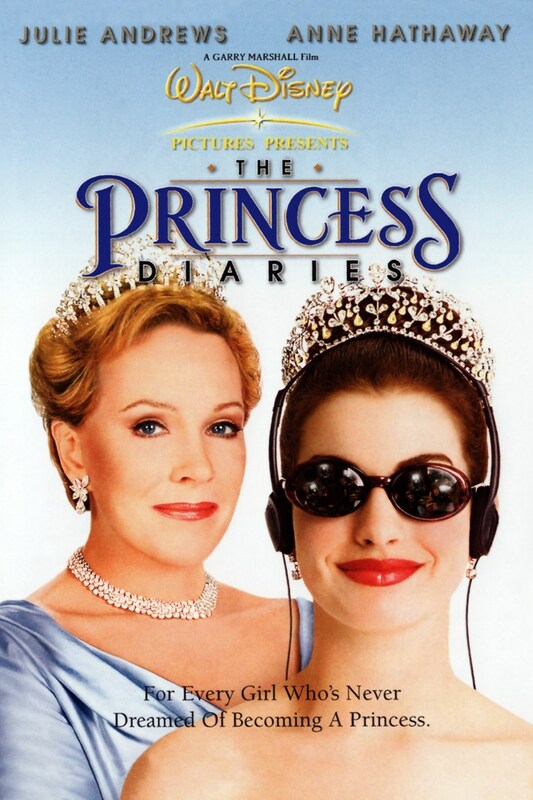 The Princess Diaries is never going to be the greatest movie of all time or anything like that, but it is highly amusing and comes together very well… or that is just my nostalgia. Anne Hathaway was still a sweet young girl here, and Julie Andrews brings so much class and elegance to the table as Queen Clarisse. The characters are plenty fun, too, and Joe is a fan favourite, of course. His relationship with Queen Clarisse had me cheering, and the way he befriended Mia was simply adorable. Plus his comic timing? The hearse bit? So good. It’s got a preposterous story, to be sure, and is a real chick flick for teens thing, but there are worse thing that the movie can be. It is also handled way better than you would expect. Speaking of Mia, I think I liked this so much growing up because she, too, is just an awkward turkey that is struggling to find somewhere she belongs. She is also, stupidly, crushing on that waste of time and space Josh, something that confused me even when I was younger when there is the best option of them all – Michael. Seriously – M&M addiction? Musician? Sweetheart? And she is lusting after that blonde loser? WHY?! The music for this movie is so typical of films of this time, and is just plain awkward and not really my cup of tea. Nor should it be. It was quite the drawback for me. Also typical of movies like this, there are a load of side characters that are there, and stories/incidents are simply thrown in and forgotten about, not making the story as robust or complete as it should have been. Lastly – all these people from Europe, and no/few accents? Lies! The Princess Diaries is actually pretty fun, even years after the fact. I am not sure if that is because I loved it then and the nostalgia remains, or what. Either way. There is some silly humour in here and the movie is just fun, some totally insane incidents occur and overall it is carried by a decent cast. Pure popcorn entertainment, but it works. Well worth the watch, if you ask me. This entry was posted in Movies and tagged Anne Hathaway, comedy, coming of age, Disney, Garry Marhsall, Héctor Elizondo, Julie Andrews, Robert Schwartzman. Bookmark the permalink. Great review my bestie! Gosh, this movie is the best ever. It is really just such innocent fun, and I related so much to Mia’s awkwardness. Josh is such a pain, but so typical a look of those teenagers that time. The books are cute, but really very teenage-novel and not really worth the read. I read a couple in 2015, but I feel no need to revert back to them. I need to rewatch NOW. Thanks kindest! It is just a lot of fun, nothing too serious or anything like that. Oh goodness, we totally understand that hahaha. I remember you read them and you were just like ah, light fluff if you need it, no more, no less. Hahahaha it sounds like you are right ready for it! I ENCOURAGE THIS. I think this is one of my biggest guilty pleasure movies. Anne Hathaway is so sweet and felt very relatable, especially when I was younger. This was a great first movie role for her. Nice review, Zoe! Thanks Drew! Definitely a sweet movie. I love this movie. No it’s not this great sweeping cinematic art,but it is fun and innocent and Anne Hathaway and Junie Andrews are perfect together. Its funny because the movie definitely Disneyfied the book bit I was surprisingly okay with that. Great review Zoe! Thanks Kim! Exactly, good, clean fun. I believe it changed the books quite a bit but that it was just fine here. xD Isn’t it just? Ahhhh, the movies that stick with us since we were kids! Funny, sometimes you will go back and check them out, other times you rather just skip them. Awesome review! This movie has such a soft spot on my heart. It was one of my favorites as a teen, and I gotta say, it’s nice to put it on as background noise or just fun. Anne Hathaway and Julie Andrews were so cute! Thanks a lot! I am so glad to see this movie getting so much love. They really were so cute together here!